Hello Nintendo. There has been much talk recently about the highly anticipated The Legend of Zelda Skyward Sword coming for Wii this holiday season. 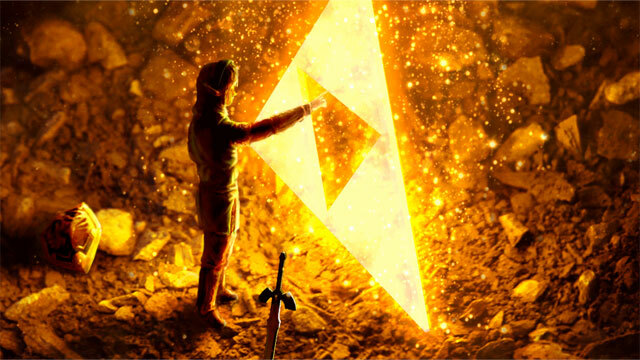 Many fans are curious as to whether or not the Triforce will appear in a more physical form than some of the more recent games in the series. Do you have any comments on this? Thank you for writing. I’m glad you’ve taken the time to question us about our upcoming game, The Legend of Zelda: Skyward Sword. Unfortunately, as the game has not been released yet, I cannot divulge too much information about the game. However, I understand your concerns about certain elements of the series remaining in the game. All I can say is the Triforce that you refer to plays no major part in the main plot of the game, but that doesn’t mean it isn’t in there. All I can say is search in the large cloud. What does this shenanigan entail? Is the triforce really going to be visible in a large cloud somewhere, but not actually be relevant? This is just the latest news tidbit to arrive on ZI’s BS’o’meter. You know what is even better than actual news on the weekend? Made up BS that people are trying to pass off as real. Alain Dao is a real representative of Nintendo, so at least there was some effort here. In the case that this is “actually true”, we’ll simply call it a far off rumor. I mean, hey, we’ve all speculated the Trifroce may not play a major role in the game… and who knows… you may be able to physically see the sacred trinity in the game in a cloud somewhere. It’s entirely plausible, even if unlikely. I emailed my Nintendo rep last week asking if I could be on the list for Xenoblade. Turns out, a Nintendo of America copy of Xenoblade is arriving at my house sometime next week for review. Hey, I’m just telling you what I was told in an email… honest!